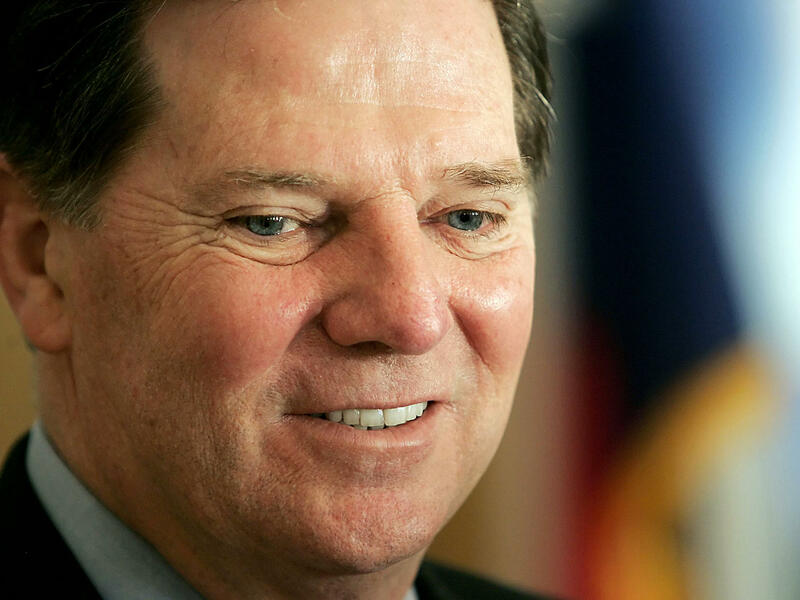 The highest criminal court in Texas refused Wednesday to reinstate two money-laundering convictions for former U.S. House Majority Leader Tom DeLay. The Texas Court of Criminal Appeals upheld a ruling last year from the 3rd Court of Appeals that tossed the Republican's 2010 convictions for money laundering and conspiracy to commit money laundering in a scheme to influence Texas state elections. Travis County prosecutors had argued in June before the Austin-based Court of Criminal Appeals that the convictions be reinstated. "We agree with the court of appeals' ultimate conclusion that, as a matter of law, what the state has proven in this case does not constitute either of the alleged criminal offenses," the high court said in its 8-1 ruling. A jury in Austin had determined that DeLay conspired with two associates, John Colyandro and Jim Ellis, to use his Texas-based political action committee to send a check for $190,000 in corporate money to an arm of the Washington-based Republican National Committee. The RNC then sent the same amount to seven Texas House candidates. Under state law, corporate money cannot be given directly to political campaigns. The lower appeals court, however, ruled there was insufficient evidence for a jury to have found DeLay guilty. DeLay had been sentenced to three years in prison, but that was put on hold while his case was appealed. The Court of Criminal Appeals said Wednesday there was nothing in the case record to show DeLay knew he was "conducting, supervising or facilitating a transaction that involved the proceeds of criminal activity." Prosecutors failed to establish the "requisite culpable mental state" to prove the offenses, the high court said in its 38-page decision. As a result, DeLay "was not susceptible to conviction for laundering money or conspiring to launder money," the court said. In a brief concurring opinion, Judges Cheryl Johnson and Cathy Cochran referred to the transactions as "wheeling and dealing (that) was a tad shady, but legal." "It is not a crime to conspire to do a legal act," they said. The lone dissenter, Judge Lawrence Meyers, called the high court's ruling deficient and said the court had "changed the law and ignored the facts in order to arrive at a desired outcome." DeLay's lawyer, Brian Wice, told the Wall Street Journal the ruling is "the end of the line for this case." "The Court of Criminal Appeals shut down a prosecution almost nine years to the day that the Travis county District Attorney's Office embarked on this unconscionable jaunt," he said.